and,I, for myself and on behalf of my heirs, assigns, personal representatives and next of kin, HEREBY RELEASE, INDEMNIFY, AND HOLD HARMLESS THE PROMOTER AND THE NPC and each of their officers, officials, agents and/or employees, other participants, sponsoring agencies, sponsors, advertisers, and if applicable, owners and lessors of premises used for the activity (“Releasees”), WITH RESPECT TO ANY AND ALL INJURY DISABILITY, DEATH, or loss or damage to person or property associated with my presence at or participation in or in traveling to and from the Event, WHETHER ARISING FROM THE NEGLIGENCE OF THE RELEASEES OR OTHERWISE, to the fullest extent permitted by law. The undersigned further consents and agrees that the undersigned will comply with all rules and regulations of the EMBASSY SUITES/SE, (“Hotel”) including any rules or regulations prohibiting cooking or food preparation in the hotel rooms. The undersigned further agrees that the undersigned will indemnify and hold harmless the NPC and the Promoter from and against any damages caused by the undersigned to the Hotel or damages to a guest room or rooms occupied or registered to the undersigned. Finally, the undersigned acknowledges that the undersigned’s failure to comply with any rule or regulation of the Hotel or damage to any guest room occupied by or registered to the undersigned may result in disciplinary action against the undersigned including, but not limited to, suspension as a member of the NPC and/or competing in contests sanctioned by the NPC. And in further consideration of permission being granted to me to participate in the Event and its related events. I hereby grant the NPC, Promoter and/or any other NPC-approved video or entertainment organization and all of their agents, successors, licensees and assigns, the right to photograph or otherwise reproduce (whether by film, tape, still photography or otherwise) my voice, appearance and name, and to exhibit, distribute, transmit, and/or otherwise exploit any and all media, including without limitation, by means of still photography, motion pictures, radio, television, television motion pictures, video, printing on digital or any other medium now known or hereafter devised, including with respect also to any merchandising, advertising and/or publicity, and the right to use my name and information about me in any connection with any of the foregoing. The rights granted by me hereunder are granted for the entire universe and shall endure in perpetuity and no further compensation shall be payable to me at any time in connection therewith. Nothing contained herein shall be deemed to obligate the NPC, Promoter, and/or any other NPC-approved video or entertainment organization, to photograph or otherwise reproduce my voice, appearance or name, or to make use of any rights granted herein. I also understand that the aforementioned rights may be reassigned at any time without further consent. I understand that the NPC, the Promoter and/or any NPC-approved video or entertainment organization, are videotaping and photographing the Event in express reliance upon the foregoing, and I represent and agree that I am free to grant the rights granted to the NPC, Promoter and/or any other NPC-approved video or entertainment organization hereunder. I HAVE READ THIS RELEASE OF LIABILITY AND ASSUMPTION OF RISK AGREEMENT, FULLY UNDERSTAND ITS TERMS, UNDERSTAND THAT I HAVE GIVE UP SUBSTANTIAL RIGHTS BY SIGNING IT, AND SIGN IT FREELY AND VOLUNTARILY WITHOUT ANY INDUCEMENT. And in further consideration of permission being granted to me to participate in this event, I hereby grant you, JEFF TAYLOR/JT FITNESS,LLC approved video or entertainment organizations, and all of their agents, successors, licenses and assigns the right to photograph or to otherwise reproduce(whether by film, tape, still photography, or otherwise) my voice, appearance and name, and to exhibit, distribute, transmit and/or otherwise exploit any and all such reproductions containing my voice and/or appearance in any and all media, including without limitation, by means of still photography, motion pictures, radio, television, television motion pictures, video, printing, internet or any other medium now known or hereafter devised, including also with respect to any merchandising, advertising and/or publicity, and the rights to use my name and information about me in any connection with any of the aforementioned media. The rights granted to me hereunder are granted for the entire universe and shall endure in perpetuity, and no further compensation shall be payable to me at any time in connection therewith. By accepting this agreement, I have read this release of liability and assumption of risk agreement, fully understand its terms, understand that I have give up substantial rights by signing it, and sign it freely and voluntarily without any inducement. 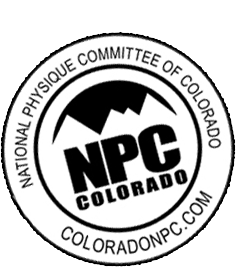 MEN'S CLASSIC PHYSIQUE NOVICE A CLASS up to and including 5'9"
MEN'S CLASSIC PHYSIQUE NOVICE B CLASS over 5'9"
DIVISION A-up to & including 5'7"
DIVISION B-over 5'7" up to & including 5'10"